My name is Tera Bare and I was born and bred in North Carolina. I am a Southern Girl at heart! God is the first love of my life and then would be my family. I am blessed to be married to a hard-working Christian man and a mom of 3 really cook kids. What I can’t believe is that they are all middle school age and up now. I love writing and have been writing off and on all of my life. I’ve been homeschooling for 11 years now and love it more now than when I started. Over the years my husband and I have served our local homeschool association as: age group coordinators, board members, vice president and currently as athletic directors. We also helped to found and currently serve on our local homeschool athletic association’s board. Homeschool sports are a passion of my family. Our kids play: softball, baseball, basketball, volleyball and cheerleading; all through our homeschool sports association. I also serve at our church as one of the Mpact Girls Club sponsors and drama/outreach ministry. I also love to make historical costumes which I made with my mom, but since her passing in March, my daughters are stepping up to help. I’m also stepping slowly into my mother’s ministry Tapestry of Love, to continue what God started with her. As for writing, I’ve just gotten started again recently. I have self-published two books on Lulu.com, “The Girlfriend’s Guide 2 Homeschool Conferences” and “The Girlfriend’s Homeschool Planner”. I’m currently working on a homeschool culinary curriculum, inspired by my oldest daughter. My mom wanted me to write a book about our cat called “The Adventures of Mr. Twilight Pepper Bare” and all his funny adventure he took when he was a kitten. I’m also considering writing a book about the women of my family. They are a Godly breed, I just don’t know if I can do them justice. 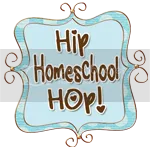 Great blog, found you via the Hip Homeschool Hop! Peace! Thank you so much! I love the Hop! I’m so glad I found you! I saw your link on welcome wednesday. I am a mother of 2, one is 2 years old and the other is with God. I have had it on my heart to homeschool but just have no idea where to begin! i ordered a curriculum created for 2 yr olds for our son to just give it a shot. I havent received it yet but hope to get it next week. Is it possible for you to steer me in the right direction on how to begin, and how to find a homeschool community where I live? Thanks in advance! Tera, we’ve been creeping your blog (not in a creepy way) for a while now. We LOVE your posts. I (lisa) am a former public school teacher who (sadly) doesn’t think it’s really working anymore. Not for students OR for teachers. I also believe parents are our children’s first teacher. I hope to spend more time reading your previous posts and enjoying learning. And, if possible it would be great to meet some new friends who understand how much fun learning can be. Btw, I see you are a wordpress site. Do you self-host? I could use some tips on that too! I found you! I’m so sorry about your wordpress loss. I would die if that happened to me. Which reminds me it’s time for a blog backup! Then I’ll need to do a backup of my laptop. Does it every end? I feel like I should send you flowers since your blog died. But at least you got one up and going again 🙂 I’ll be creeping your blog too. It looks funny and the quiche looks amazing. Have a wonderful day and I hope everything works better for your new blog home. Awww. Thank you! I’m glad you’re on WP. Maybe you would share a few tips on posts? I accidentally installed an auto back up plug in so that might work, but only up to May 10, not yesterday. 😦 Oh well, such is life. Nice to meet you and hope to talk more! Hello Tera, Found your blog by happen-chance from a homeschool link. Our lives mirror each others, except that we are in Arizona. Year 12 of homeschooling… Mpact…homeschool sports…. three kids (up until the fourth arrived a year ago)… writing… blogging…the Skinny List. I’ve lost 80 lbs in the last year, so I’m living quite a few goals on the list already! Blessings on your journey! I thought it would link to my blog, but no. Here is my corner of the web: MySistersJar.wordpress.com Drop on by! 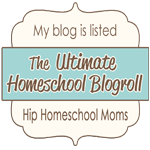 I wanted to let you know that it has been great having your blog listed on our blogroll page at LetsHomeschoolHighschool.com, and I have enjoyed seeing your posts come through the Homeschooling High School Parent RSS feed! I was also wondering if you might be willing to return the favor by adding LetsHomeschoolHighschool.com to your blogroll or sidebar? I’d love for your blog readers to have an opportunity to find a great site for everything related to homeschooling in the high school years. We have a “Grab Our Button” link on our About Us page to make it easy for you to add. Thanks…I look forward to reading more of your blog!